Seeing the McLaren Speedtail supercar on the move is still a rare sight, but McLaren Newport Beach is providing a brief glimpse of the brand's new hypercar idling around. The speeds never get beyond a walking pace, but at least this clip offers a chance to hear the engine idle. 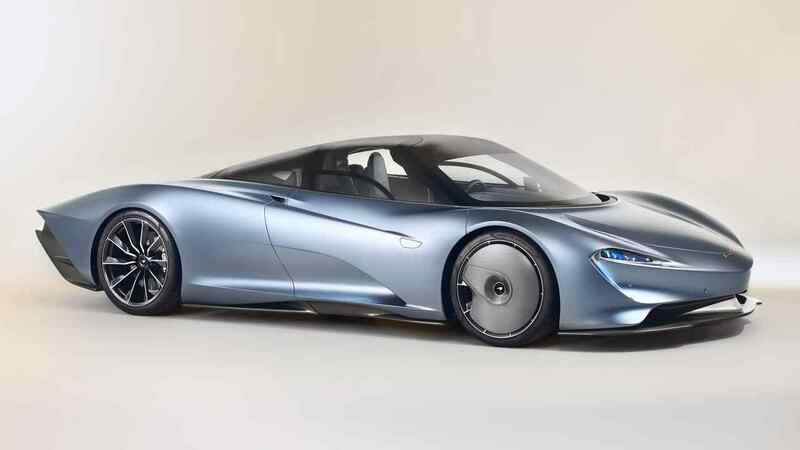 The Speedtail sounds fairly docile at low speeds. Some bass notes come from the engine, but it's not an earthshaker. The new McLaren is the brand's spiritual successor to the McLaren F1, including sharing a three-seat layout with the driver sitting in the centre. The vehicle features a low-slung, teardrop shape that can slice through the air and let the machine achieve a 250-mile-per-hour top speed. This velocity is thanks to a hybrid powertrain that produces a total of 1,035 bhp. Inside, the Speedtail is a high-tech wonderland with an array of screens surrounding the steering wheel. Electrochromic glass can darken or brighten as necessary to adjust the amount of sunlight in the cabin. There are rear-facing cameras instead of traditional mirrors, and they can slide into the body when going for the absolute top speed. Buyers can also add more luxuries like 18-carat white gold or platinium emblems with inset carbon fibre. McLaren is making 106 Speedtails, and all of them have buyers. Deliveries start in early 2020. Americans have a challenge getting one on the road in the United States because the McLarens don't comply with traffic regulations. The central driving position and cameras instead of mirrors are the biggest problems. The Show or Display rule provides a way to get the car into the country but limits driving to just 2,500 miles a year.